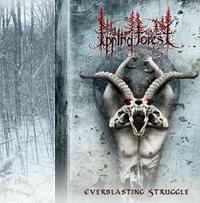 Everblasting Struggle is the name of the debut album from Portuguese Blackened Death Metal band Epping Forest. Their music brings reminiscences of the Scandinavian essence that provides the listener with an intense trip throughout the ten tracks and all their darkest Norse, Egyptian and classical Greek mythology. EPPING FOREST having one of the fastest Portuguese drummers on their ranks (Menthor also in Corpus Christii and Morbius), you are bound to be blasted off your seat by one of the fastest albums of the Lusitanian scene performed by (In)humans!